Bitcoin’s blockchain is like a telephone party line, it’ll work for a village but it won’t when it scales to the world. 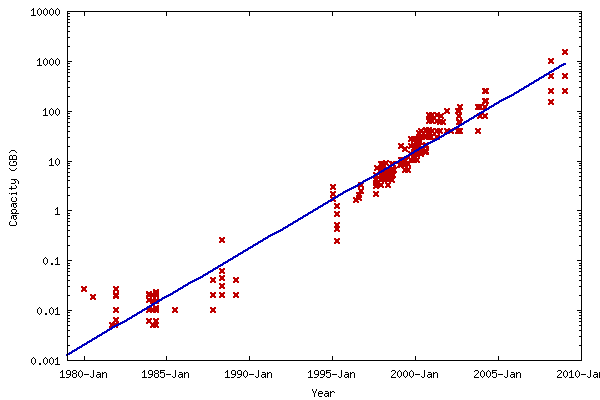 Here’s the block size over time on a log scale. 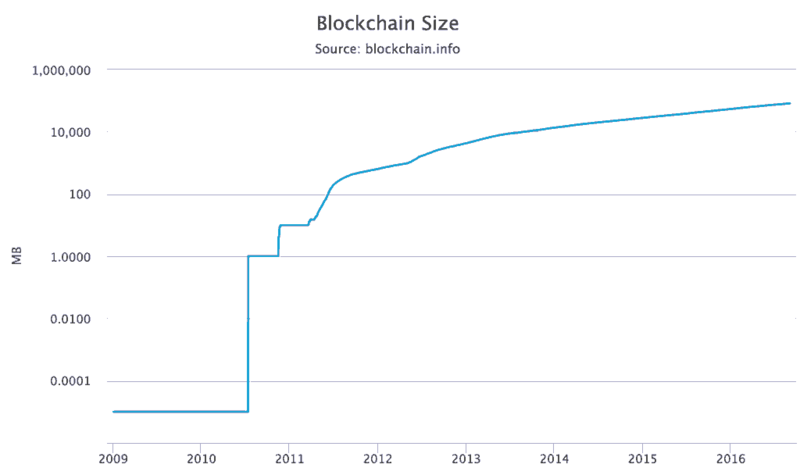 If you crunch the numbers, blockchain size for the last 3 years since Bitcoin came into prominence and utility, is increasing at 100% per year. Meanwhile our hard drive storage is increasing at 70% per year. Blockchain growth is outstripping storage capacity growth, so endlessly increasing block size is not the answer. It’s time to multiplex our transactions.